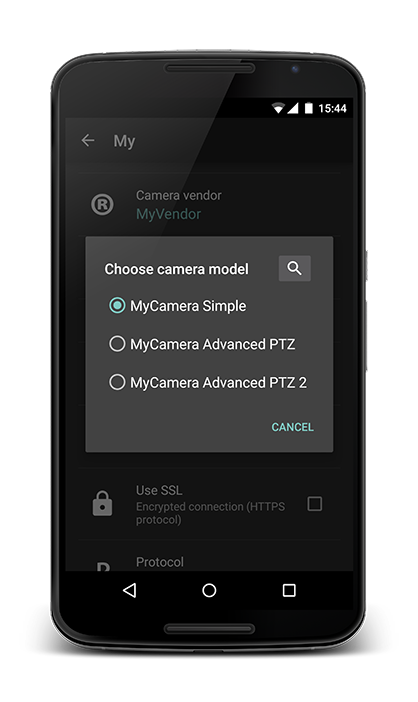 tinyCam Monitor for Android allows adding additional cameras support via external XML file. Please note that this feature is for advanced users only! 1. Download custom_vendors.xml template (updated on November 9, 2014). 3. Upload this modified file on your Android device storage or SD card. 4. To load this modified file you first need to upload it on your Android phone. Then run tinyCam Monitor and in "App Settings - Developer - Custom vendors xml file" specify full path to the file, e.g. "/sdcard/custom_vendors.xml". Exit from the app and start it again. File should be loaded automatically. 5. If you want your changes to be included into the next tinyCam Monitor release please send us this file with your updates.